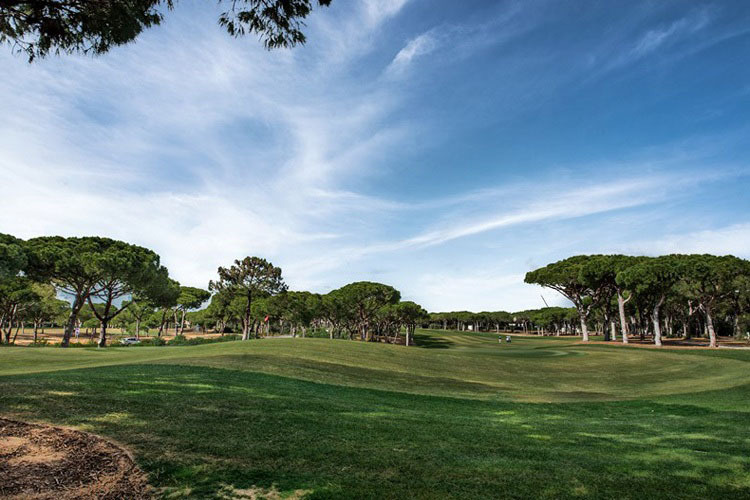 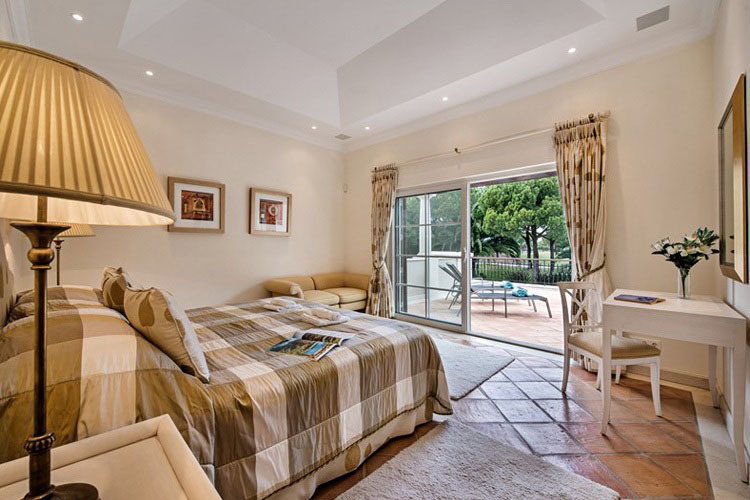 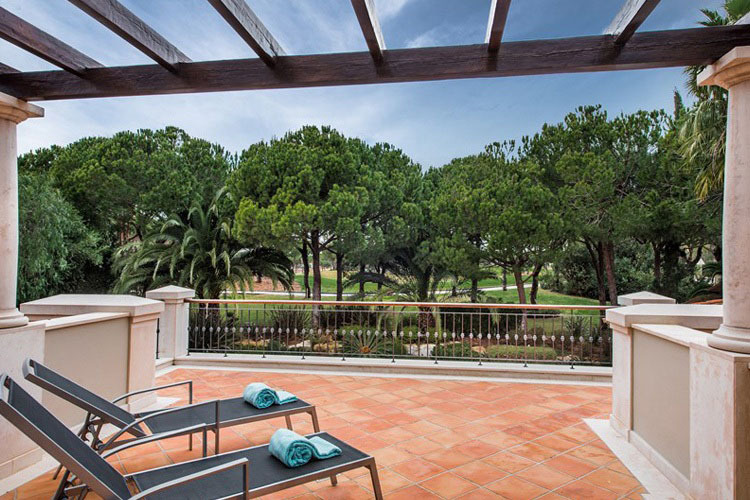 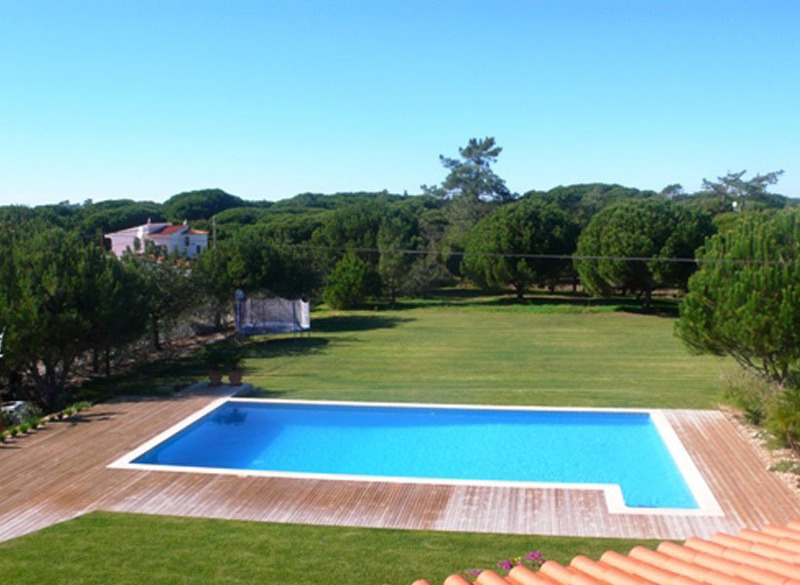 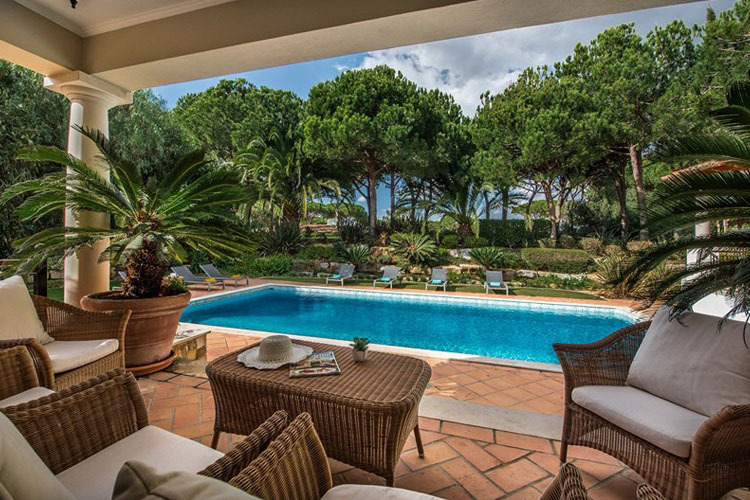 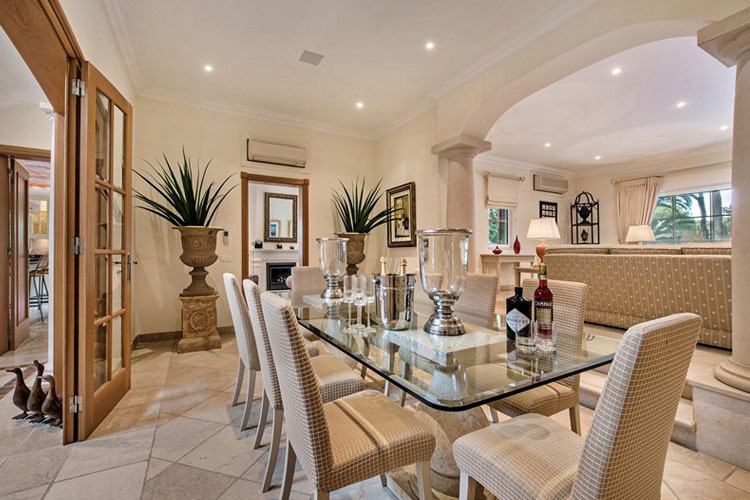 Modern villa in Quinta do Lago just a 20 minute walk from Quinta Shopping with its bars and restaurants. 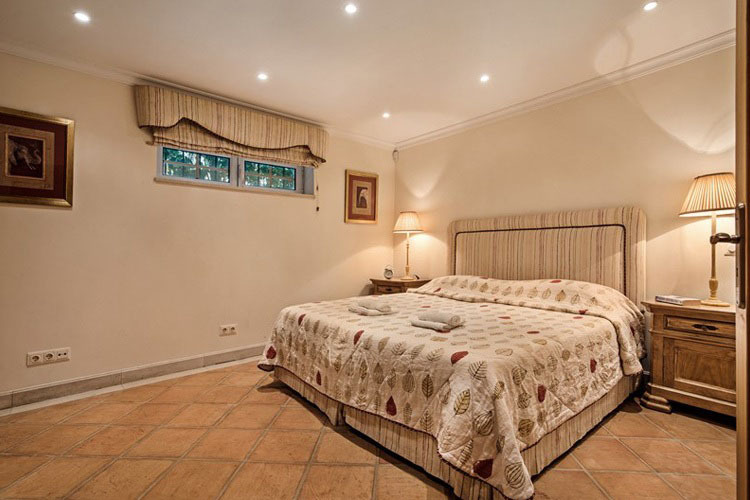 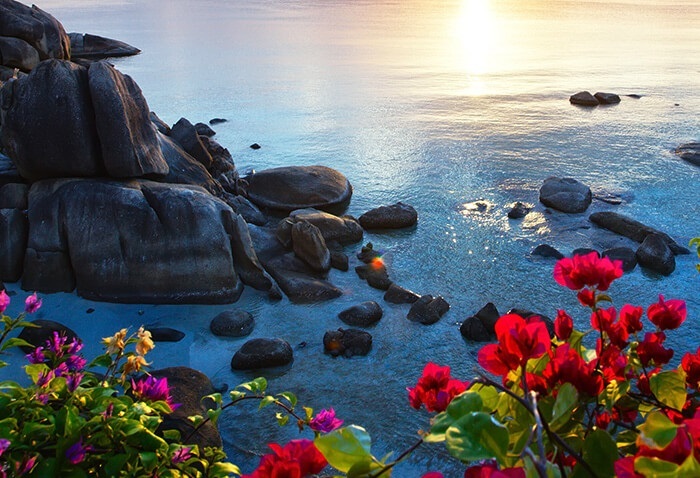 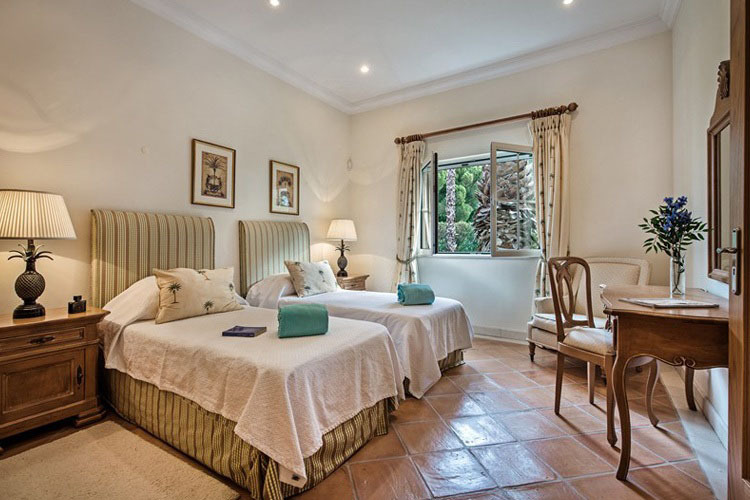 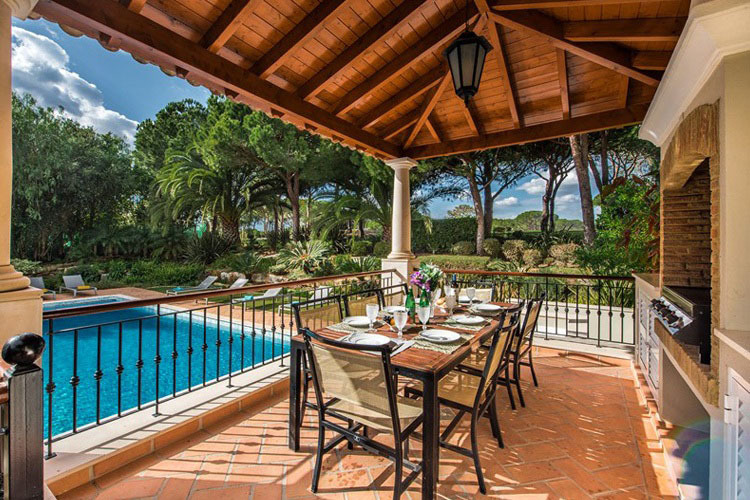 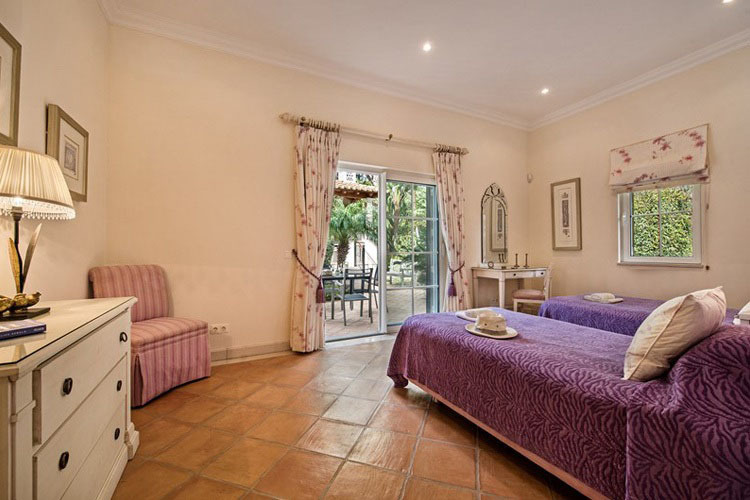 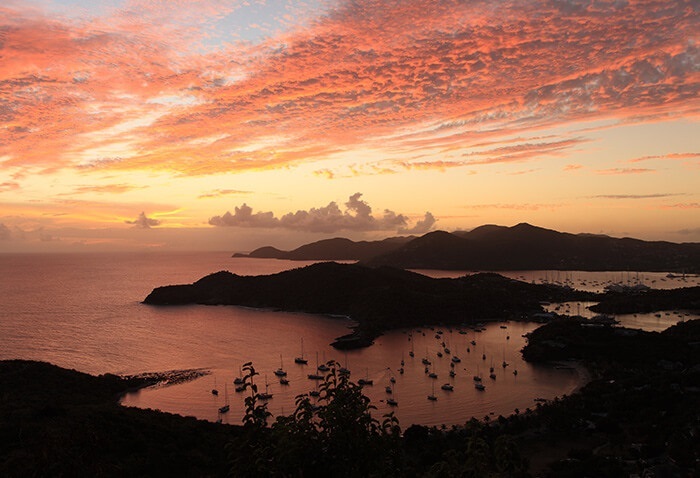 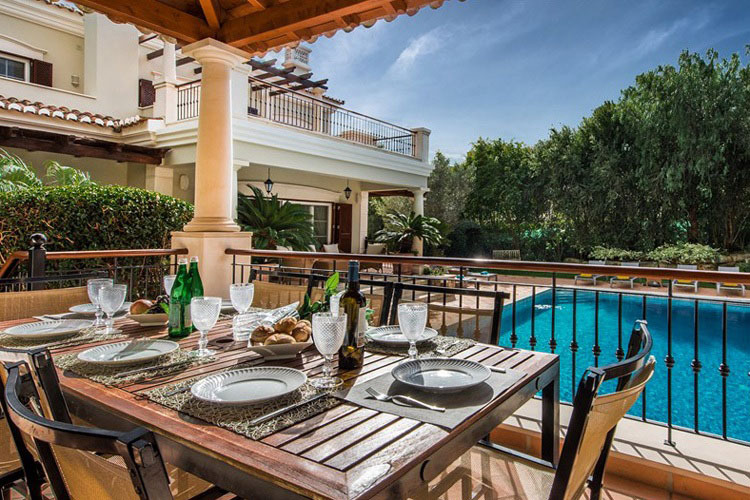 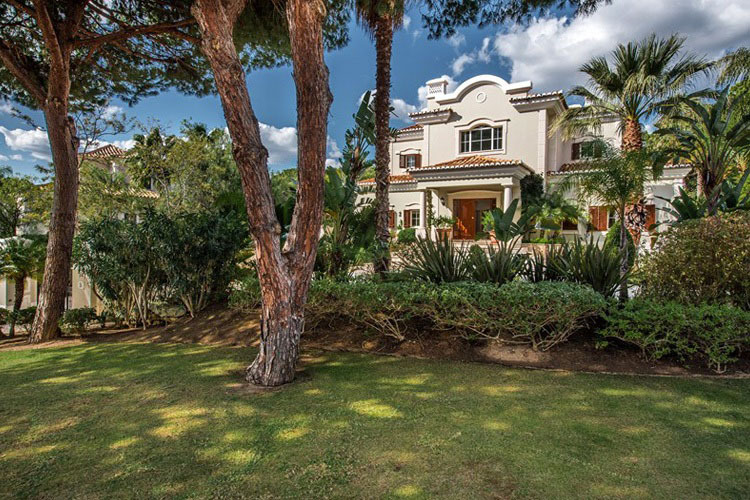 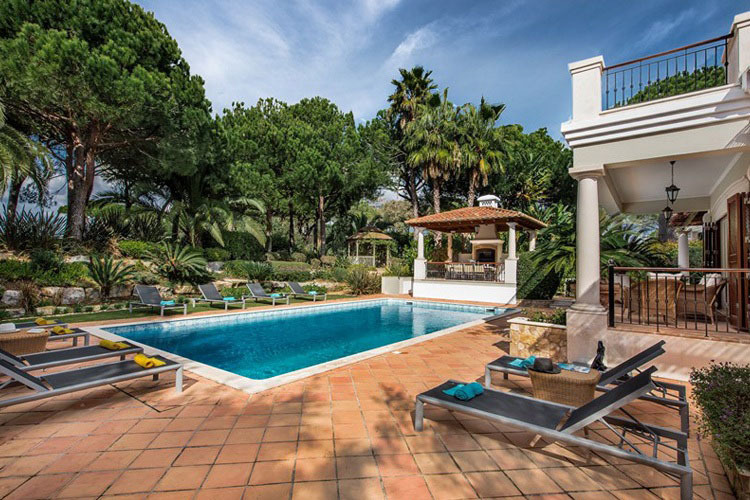 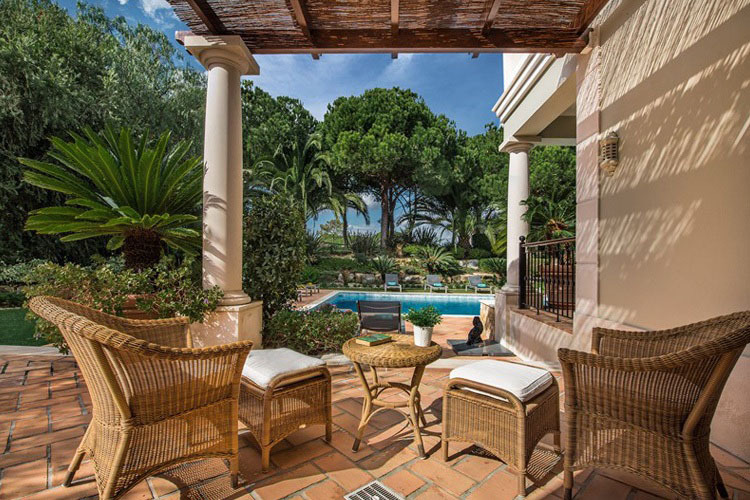 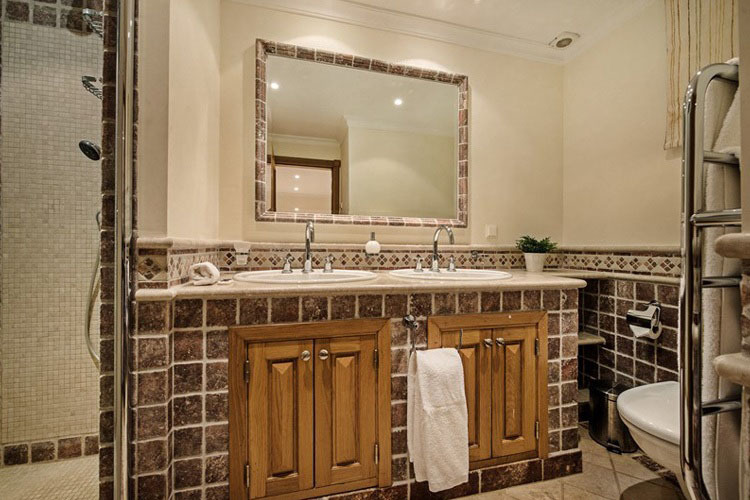 The villa has a large swimming pool set in beautiful, well-tended gardens. 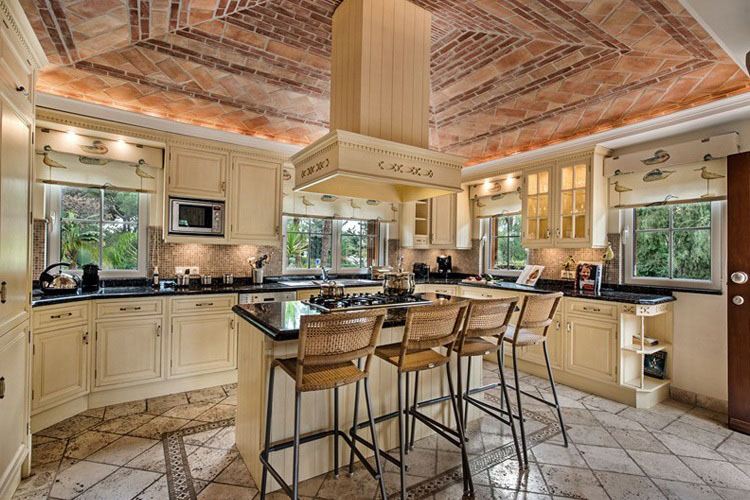 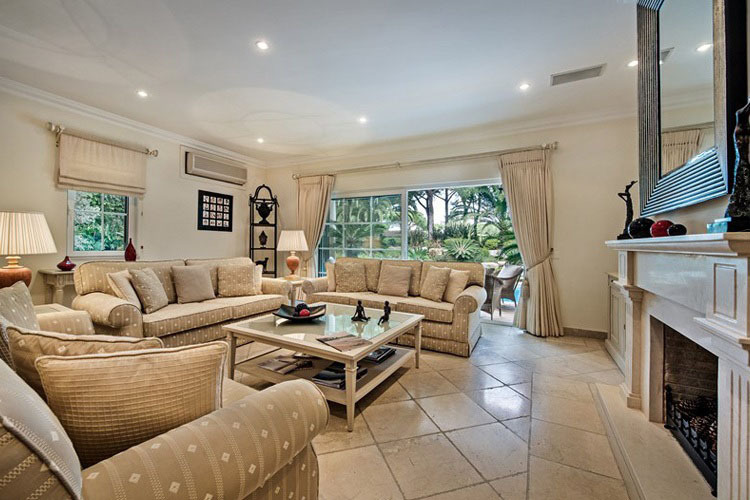 The interior decor is of a very high standard with good quality furnishings, art work and ornaments. 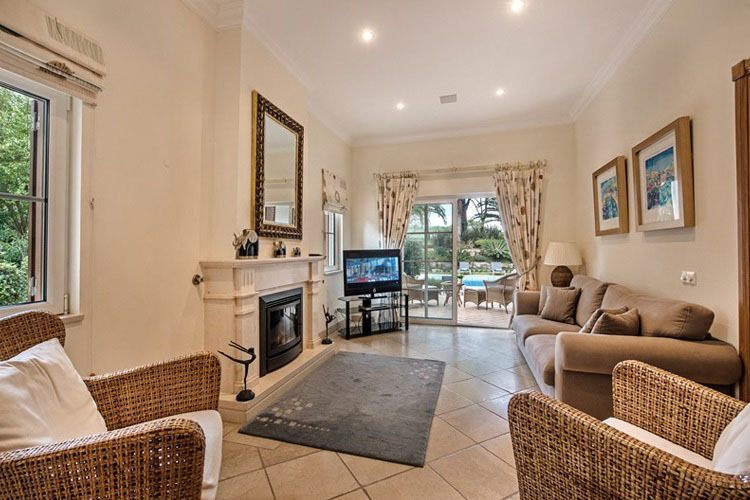 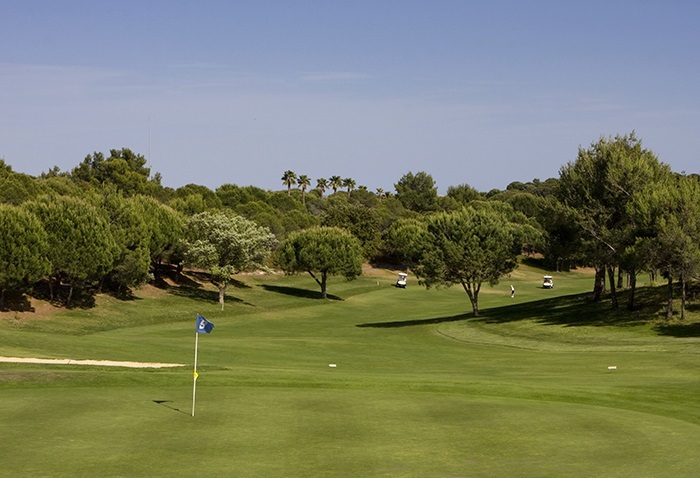 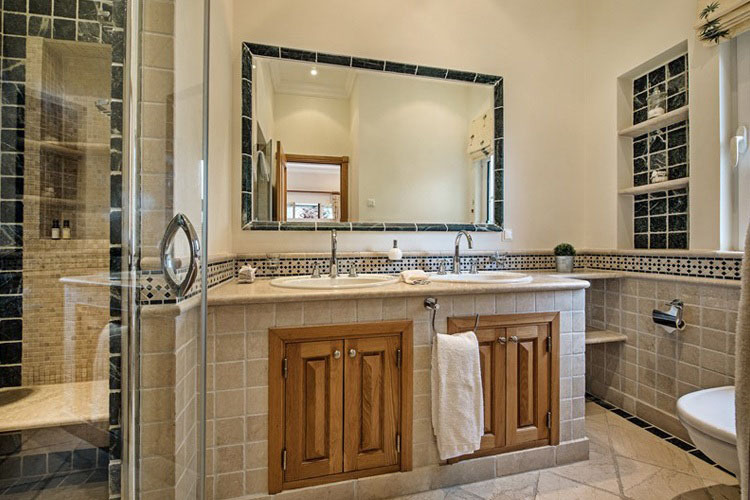 This is a delightfully well loved home that is popular with families and golfers and once visited remains a firm favourite with many guests returning year after year. 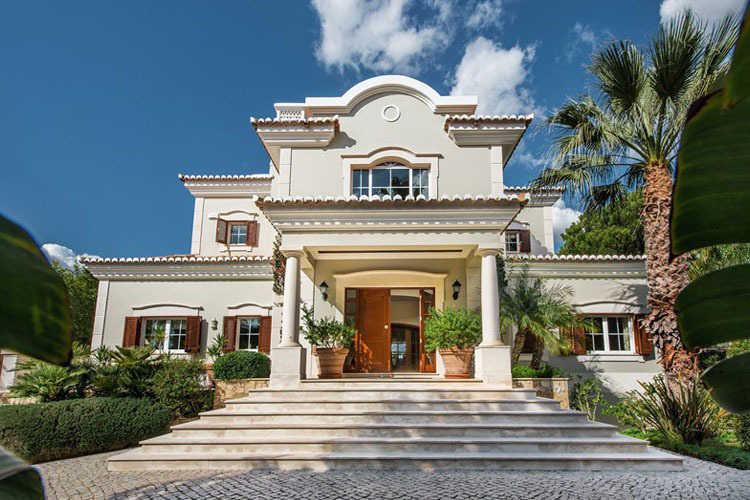 Ground floor: Large entrance hall with double staircase – Spacious lounge with fireplace and large windows leading to outdoor terrace – Indoor dining area – Fully-equipped kitchen with central island and all mod-cons – Two twin bedrooms with en-suite bathrooms – TV room. 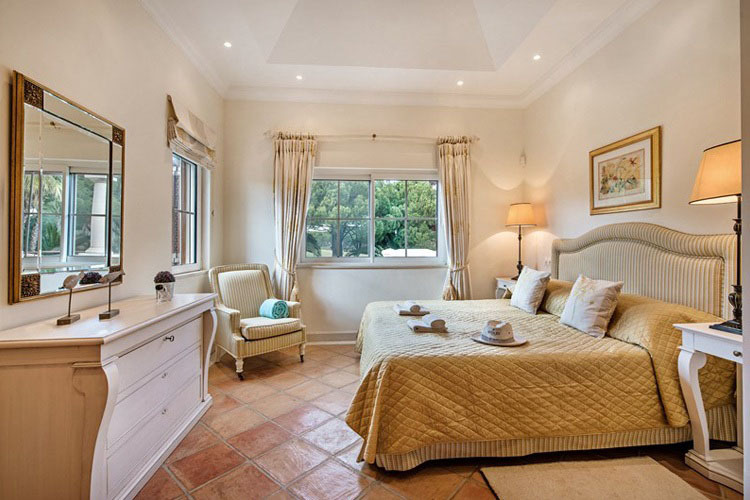 First floor: Huge master bedroom with en-suite bathroom and large private terrace overlooking the pool area – Further double bedroom with en-suite bathroom. 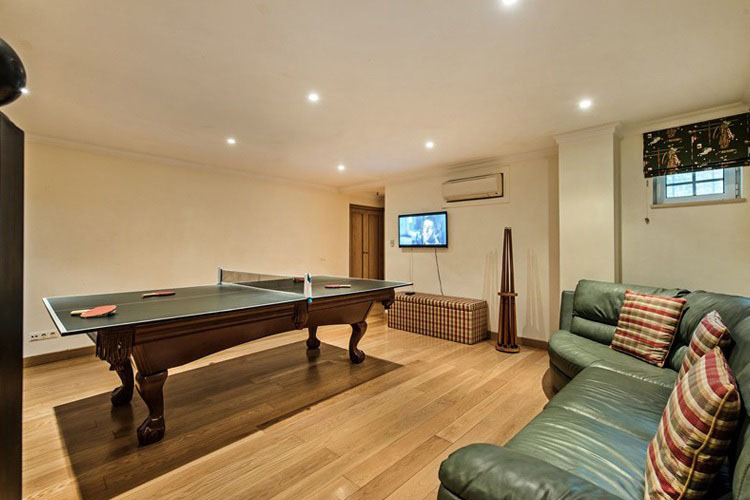 Lower floor: Double bedroom with en-suite shower room – Games room with pool table and ping-pong table – Laundry area and garage. 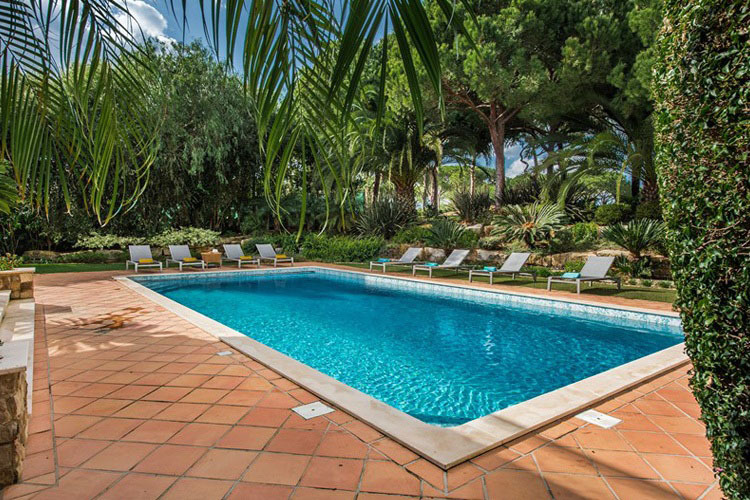 Outside: Large private swimming pool with comfortable sun loungers – Cascading pond and well-maintained gardens – Ample outdoor terrace areas including al-fresco dining and barbecue area.